The face of music in Africa is changing. Musicians are seeking alternative routes to the shoddy label of ‘world music’, and finding unprecedented levels of success in the process. There is a growing amount of independent artists who, through their ability to combine global influences with localised flavours, have figured out how to capture a wide-ranging legion of followers. For this month’s post, I’ve mined some treasure to present the second edition of African musicians to look out for. We chart territory ranging from pop music in South Africa to post-Fela beats in Nigeria. I also got in touch with Brooklyn-based Ghanaian rapper Blitz the Ambassador whose free-to-download offering entitled The Warm Up was released on Tuesday. Beatenberg comprises three South African lads whose latest single Chelsea Blakemore harvests from their backgrounds in jazz and electronic music to add to their growing catalogue of hauntingly evocative songs. These, in drummer Robin Brink’s words, are aimed at “everyone ready for a fresh South African pop sound.” The lyrics are playfully gutsy – or painfully ironic depending on how receives them. This particular song is named after vocalist/guirarist Matthew Field’s ex-girlfriend. “We’re all tight friends” asserts Brink. Ross Dorkins’ touch of bass adds to the song’s smoothness, making it a potential favourite at the country’s festivals during the upcoming summer. Their full length album will be released by Universal Records in 2014. Zone Fam is a Zambia-based rap group who has done well in penetrating the consciousness of audiences across the continent since their break-away hit Shaka Zulu on em hit airwaves two years ago. With a new single circulating and a new album in the works, it’s exciting times for the quartet comprising Dope G, Jay Rox, Yung Verbal and Thugga. 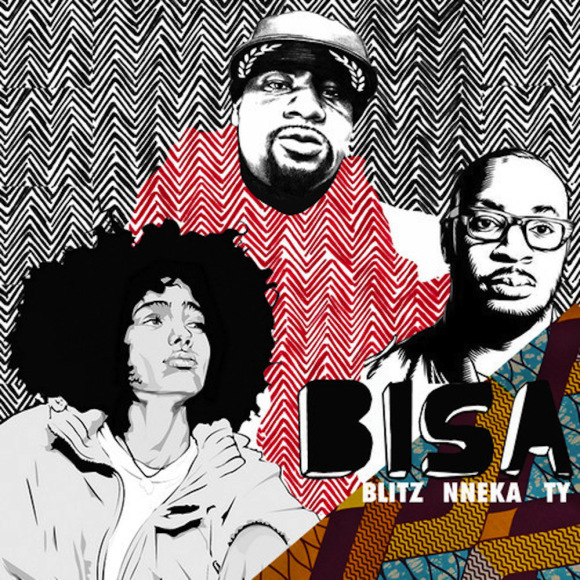 They’ve been nominated for the African Entertainment Awards – a ceremony aimed at honouring “the rich culture of african [sic] art and entertainment” – under the best group category. Their sophomore album is due for release later on in the year. They follow up their party-centric Lobola with this subdued homage to body language. The solid, gliding patterns of Afrobeats have ensured that Fela Kuti‘s legacy continues to exist in modern pop music. While bands elsewhere are taking the Afrobeat staple refined by Kuti, artists on the continent have resorted to panel-beating the danceable aspects of the genre into a new wave of sound referred to as Afrobeats, a sub-genre described by Olufemi Terry as “African pop about women, parties and success” in an article published by South Africa’s Rolling Stone magazine. Commenting on the Kuti/Afrobeats relationship, Terry pondered whether the legend would turn in his grave were he to hear the sound he was linked to this sound. Burna Boy, the Nigerian-born artist who sang “They say I sound like a combination of Sizzla and Fela Kuti” on My Journey, has decided to embrace comparisons to the latter. He went to the Afrobeat legend’s shrine, the Kalakuta Republic, for the video of one of his latest works. Entitled Run My Race, the song is best experienced in sweaty clubs along West Africa, and increasingly across the continent. “From Tahrir Square to Madison Square the streets are crammed, Revolution will not be televised or Instagrammed,” raps American-based Ghanaian rapper Blitz the Ambassador. He set aside time to chat about how his song Bisa (What [are] you asking?) got made. The result is a fierce socio-political manifesto featuring UK-based rapper TY and Nigerian vocalist Nneka. “There were only two collaborations that were done in person. One was Nneka. That literally happened accidentally I recorded with her [over the] Internet for the actual album, ” Blitz the Ambassador explained.